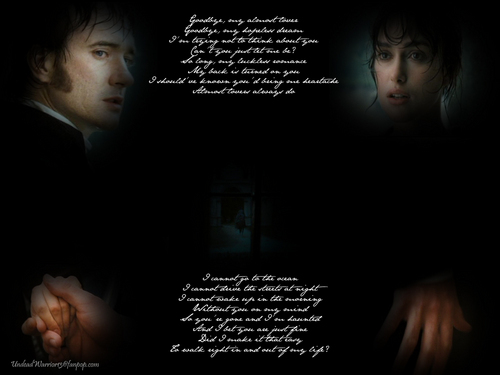 Almost Lover. . HD Wallpaper and background images in the Pride and Prejudice club tagged: elizabeth bennet pride and prejudice 2005 mr. darcy keira knightley matthew macfadyen. This Pride and Prejudice wallpaper might contain sign, poster, text, chalkboard, business suit, newspaper, paper, magazine, tabloid, and rag.